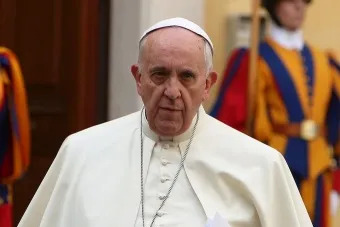 Vatican City, Nov 30, 2017 / 05:44 am (CNA/EWTN News).- Pope Francis arrived in Bangladesh with words of praise for the humanitarian assistance the nation has given to Rohingya Muslim refugees, and urged greater action on their behalf from the international community. He noted how Bangladesh “at no little sacrifice” has provided shelter and basic necessities for the hundreds of thousands of Rohingya Muslims at their border. With the eyes of the world watching the crisis unfold, no one “can fail to be aware of the gravity of the situation, the immense toll of human suffering involved, and the precarious living conditions of so many of our brothers and sisters, a majority of whom are women and children, crowded in the refugee camps,” he said. 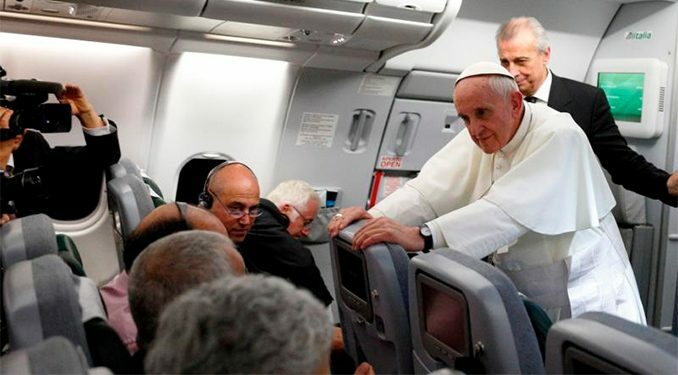 Pope Francis spoke hours after arriving in Dhaka, Bangladesh, for the second phase of his Nov. 27-Dec. 2 tour of Asia. He was in Burma Nov. 27-30, and will stay in Bangladesh for two days before returning to Rome. With an increase in persecution in their home country of Burma more than 600,000 Rohingya have fled across the border to Bangladesh, where millions are in refugee camps. Despite widespread use of the word in the international community, it is controversial within Burma. The Burmese government refuses to use the term, and considers the Rohingya to be illegal immigrants from Bangladesh. At the request of local Church leaders in Burma, Pope Francis refrained from using the word, and he has also done so in Bangladesh. In his speech to authorities, the Pope praised the natural beauty in Bangladesh, which is seen in its vast network of rivers and waterways, saying the vision is symbolic of the nation’s identity as a people made up of various languages and backgrounds. Bangladesh gained independence from West Pakistan in 1971 after a bloody nine-month war that began when Pakistani military attacked their eastern state in a bid to eliminate Bengali nationalists from the region. West Pakistan began their assault in March 1971, and surrendered in December of the same year, resulting in the independence of the People’s Republic of Bangladesh. 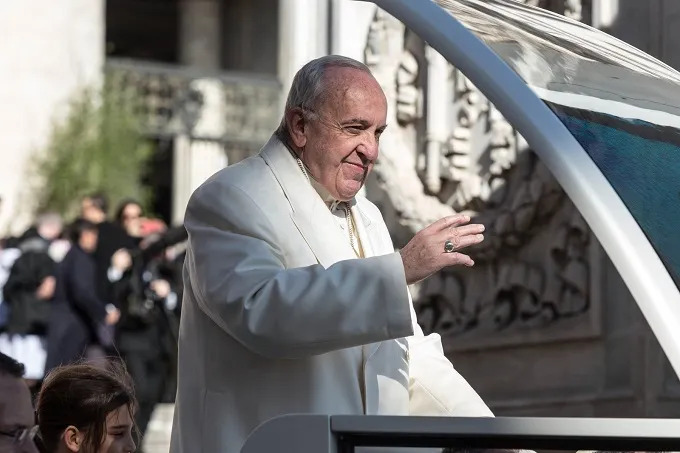 The future of democracy in the young nation and the health of its political life, then, are “essentially linked” to fidelity to the original vision of the founding fathers, Pope Francis said. “Only through sincere dialogue and respect for legitimate diversity can a people reconcile divisions, overcome unilateral perspectives, and recognize the validity of differing viewpoints,” Francis said, adding that true dialogue looks to the future and builds unity in the service of the common good. These words are especially relevant for Bangladesh, which is among the most populated countries in the world, but is also one of the poorest, with nearly 30 percent of the population living under the poverty line. Francis said that while he came primarily to support the tiny Catholic community in the country, he is looking forward to meeting with interreligious leaders, as he did in Burma. Interfaith dialogue has been a major theme of the Pope’s visit, as Burma is a majority Buddhist nation and Bangladesh is majority Muslim. In Bangladesh, 86 percent of the population practices Islam. The 375,000 Catholics there represent less than 0.2 of the total population. Speaking of the role Catholics play in the country, Pope Francis said they have an essential contribution, specifically through the schools, clinics and medical centers run by the Church. In his greeting to Pope Francis, Bangladesh President Abdul Harmid thanked the Pope for his visit and stressed the importance the nation places on religious freedom and development. Harmid also pointed to Francis’ message on mercy, which he said Bangladesh has put into practice with their welcome of the Rohingya Muslims. “It is our shared responsibility to ensure for them a safe, sustainable and dignified return to their own home and integration with the social, economic and political life of Myanmar,” he said, adding that the Pope’s “passionate” condemnation of the brutality they face brings hope for a resolution. The Bangladesh government, he said, is therefore pursuing a “zero tolerance” policy committed to eradicating the root causes of terrorism and violent extremism.